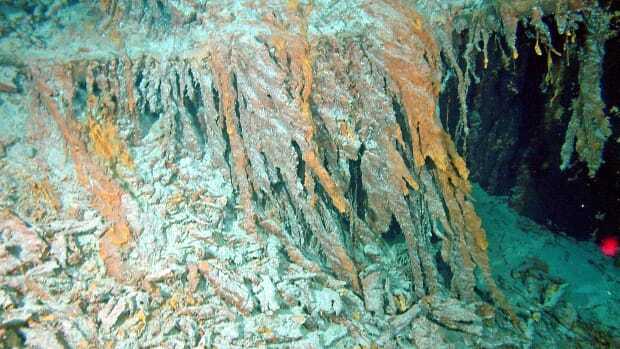 Did a mummy's curse cause the Titanic to sink? Pivotal events have a way of attracting harmful myths and conspiracy theories. This goes for great achievements like the moon landing (which Buzz Aldrin punched a guy for denying) as well as great tragedies like Martin Luther King’s assassination, the 9/11 attacks and the Titanic disaster. Late in the evening on April 14, 1912, the R.M.S. Titanic hit an iceberg and sank into the icy waters of the North Atlantic, killing 1,517 of the 2,223 passengers and crew members aboard. 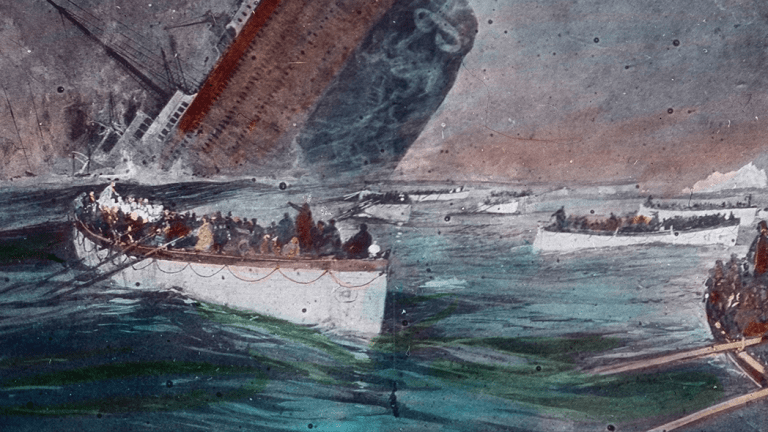 To make sense of this tragic and seemingly random disaster, people over the past century have told stories of ominous signs of bad luck that were supposedly ignored beforehand, or spun elaborate conspiracy theories to explain the “real” reason it sank. Here, we explain the most enduring conspiracy theories and myths about the tragedy. 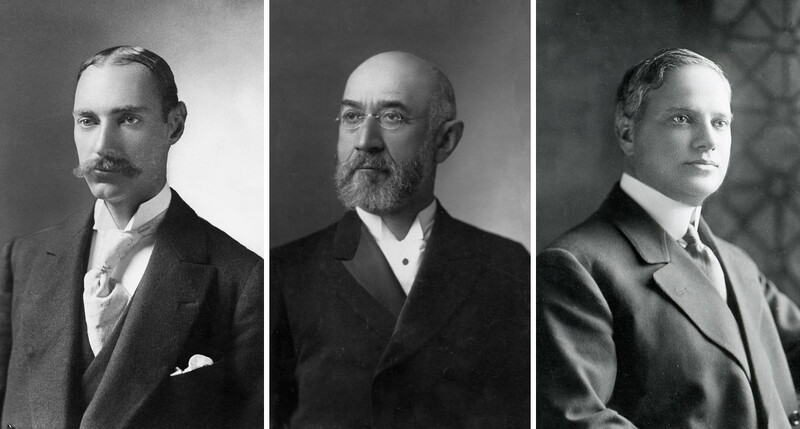 Millionaires Jacob Astor, Isador Straus, and Benjamin Guggenheim. J.P. Morgan planned the disaster to kill his rivals. 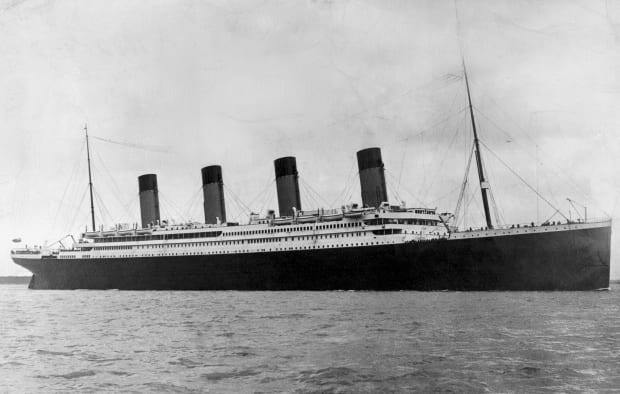 According to this theory, millionaire banker J.P. Morgan planned the Titanic disaster to kill off rival millionaires Jacob Astor, Isidor Straus and Benjamin Guggenheim, who all perished aboard. The theory hinges on the fact that Morgan had originally planned to sail on the Titanic but changed his mind shortly before it took off. Yet it doesn’t offer any explanation for how he caused the ship to hit an iceberg and kill over 1,500 people, let alone the three men he supposedly intended to die. To top it off, the theory claims Morgan wanted to kill them because they opposed the creation of the Federal Reserve, even though Astor and Guggenheim don’t appear to have taken a position on it and Straus actually supported it. 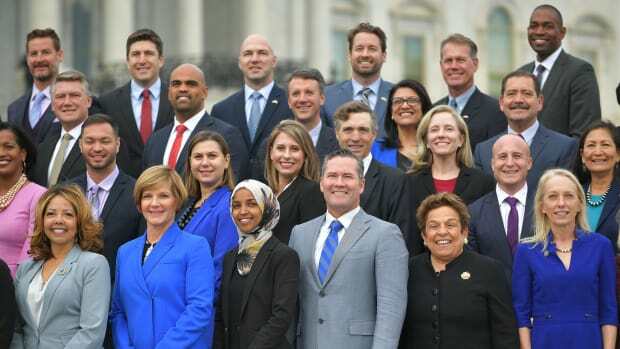 This theory resurfaced recently in connection with QAnon, a far-right conspiracy theory detailing a supposed secret plot by an alleged "deep state" against U.S. President Donald Trump and his supporters. 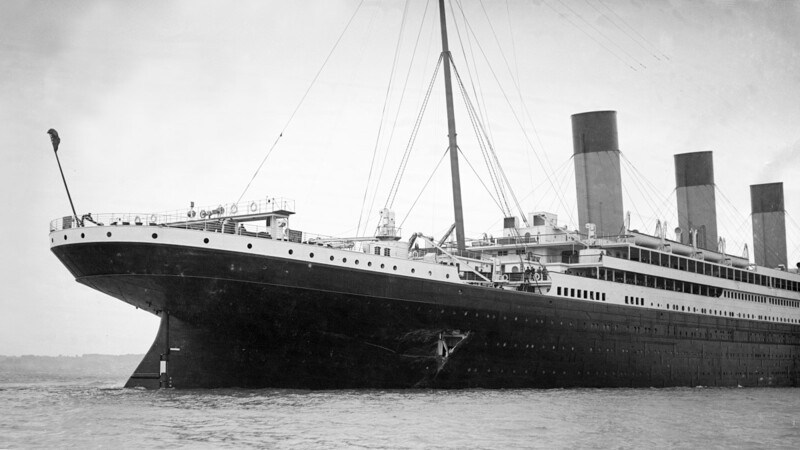 This theory starts with the fact that the Olympic was damaged while sailing from Southampton, England to New York in September 1911, and had to return to Harland and Wolff’s shipping yard in Belfast for repairs. The company repaired the Olympic and it sailed to New York and back. It returned to Belfast for more repairs in March 1912, a few weeks before the Titanic set sail. The R.M.S. Olympic with a hole in its side after taking damage from a collision, 1911. The conspiracy theory claims that some person or people found the Olympic too severely damaged to be profitable, and so at some point switched it with the Titanic to purposefully ditch the damaged ship, reap the insurance money and, it seems, kill a bunch of people in the process. The &apos;Unlucky Mummy&apos;, from 945 BC, displayed by the British Museum in 2007. A mummy’s curse doomed the Titanic. One of the passengers who went down with the Titanic was William Stead, a British editor who subscribed to early 20th century spiritualism and had spent the past several years claiming a cursed mummy was causing mysterious destruction and disaster in London. As with other myths about “Egyptian curses” and “Native American burial grounds,” this myth played off of colonialists’ anxiety about the people whose land they had plundered. 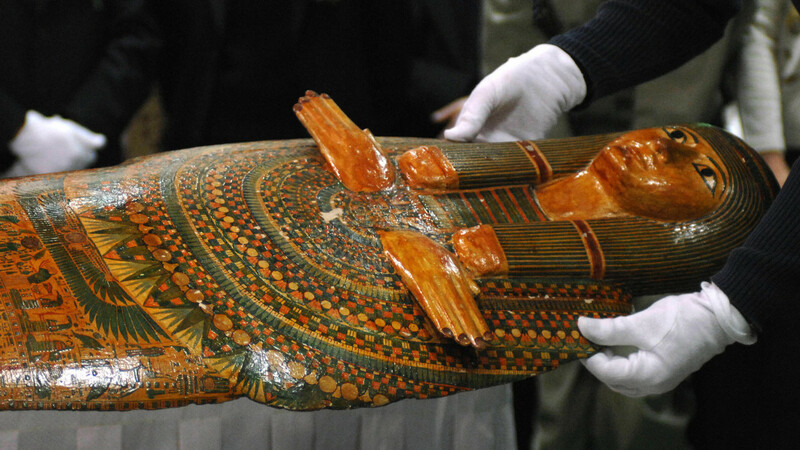 Burns says some people linked the “mummy’s curse” to Egyptian artifacts that survivor (and hero) Margaret Brown really did take with her on the Titanic to deliver to a museum in Denver. In other versions of the story, the mummy was actually aboard the Titanic because the British Museum had sold it to an American who was shipping it home, Snopes reports. But the truth is the so-called “unlucky mummy” is still at the British Museum, and no mummy was ever loaded onto the ship. It was an iceberg, not a curse, that sank the Titanic. The ship’s number read “NO POPE” backwards. One myth posits that Catholic employees of Harland and Wolff, the Belfast company that built the Titanic, were distressed that the ship’s number, 3909 04, seemed to say “NO POPE” when viewed in a mirror. Was this a sign of bad luck that foretold the ship’s doom? Nope. The late Titanic historian Walter Lord wrote that he received letters from people in Ireland relaying this “NO POPE” story beginning in the mid-1950s. 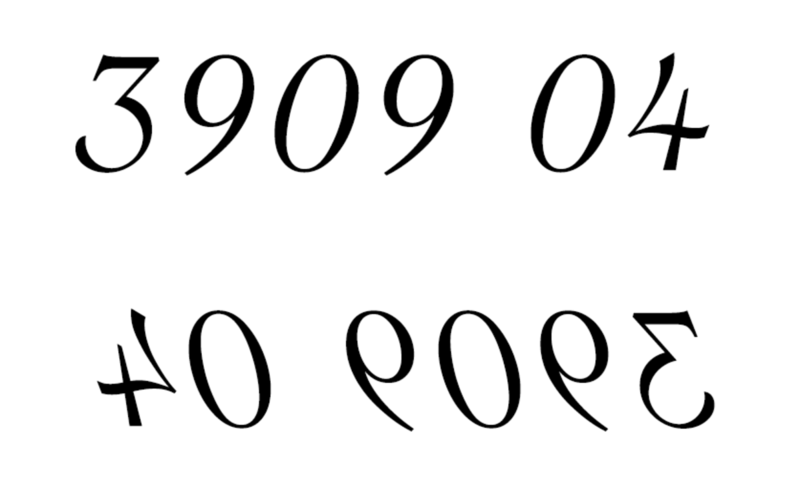 Yet as Burns pointed out in his 1986 book, The Night Lives On, there was no such number attached to the Titanic. The hull number painted on the ship was 401, the same as its yard number at Harland and Wolff, and its Board of Trade number was 131,428. Yet even if one of its numbers had read “NO POPE,” there weren’t any Catholic workers at Harland and Wolff for it to upset. The company had driven its Catholic employees away in the late 1800s, and “by the twentieth century, Harland and Wolff had a reputation for only employing Protestants,” writes Annie Caulfield in Irish Blood, English Heart, Ulster Fry. 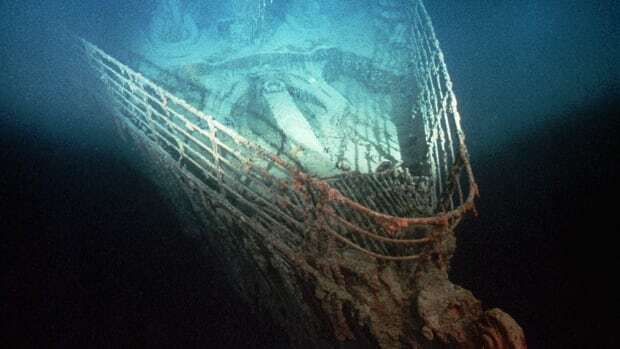 Despite this reality, Paul Burns, of the Titanic Museum Attractions in Missouri and Tennessee, says that visitors still occasionally ask about this myth. Fictional characters Jack Dawson (left) and Jay Gatsby (right). Jack Dawson is Jay Gatsby. 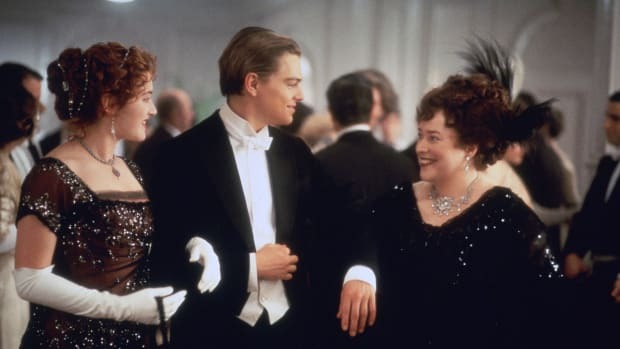 OK, this one is actually about the 1997 Titanic movie—and it’s a fan theory—but still. There is a theory on the internet that Leonardo DiCaprio’s character in Titanic and his character in The Great Gatsby are the same person. Because this one is about fictional characters in film, it isn’t something we can prove or disprove. We’ll leave it up to you to decide if Jack really is the Great Gatsby.